Long before Ariana Grande became a Grammy-award winner, the “Break Up With Your Girlfriend, I’m Bored” singer was just your typical young girl — who, we now know thanks to a recently unearthed article, happened to be a massive hockey fan (and bafflingly, was hit by two pucks by the age of 5). In a 1998 South Florida Sun Sentinel article that’s now going viral — after being shared by hockey writer Mike Commito over the weekend — a 5-year-old girl is pictured with a wide smile and a red hockey jersey, waving at the crowd as she sits on top of a Zamboni at a Florida Panthers game. The headline? “Boca kid gets a puck and ice,” with the subheader, “5-year-old fine after being struck 2nd time.” And the kid in question? 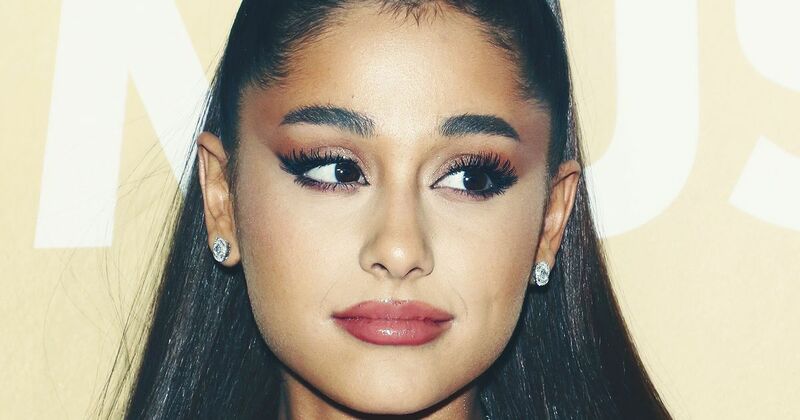 Why, none other than Ariana Grande-Butera (the singer’s full name). On that Friday night back in 1998, as the future Grammy-award nominee’s mother recounted a game back in January when her daughter was hit in the wrist with a hockey puck, it happened again. Last time, it was her right wrist. This time, her left. “What are the odds of this happening,” wondered dad, graphic designer Ed Grande-Butera, visibly shaken.